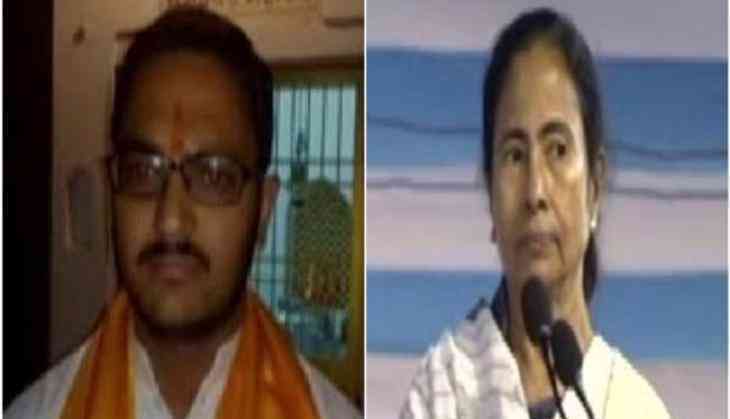 A Bharatiya Janata Yuva Morcha (BJYM) leader courted massive controversy by announcing a reward of Rs.11 lakh for West Bengal Chief Minister Mamata Banerjee's head, following a lathi charge at Birbhum district to disperse a rally raising slogans of 'Jai Sri Ram' on Hanuman Jayanti. 'Those who will cut and bring West Bengal Chief Minister Mamata Banerjee head, I will give that person Rs.11 lakh. Mamata Banerjee never allows Saraswati Puja, fairs during Ram Navami and during Hanuman Jayanti procession, people were lathi charged and brutally beaten up. She organizes Iftar party and always supports Muslims,' BJYM leader Yogesh Varshney said. In West Bengal's Birbhum, Suri police on Sunday had already warned the Bir Hanuman Jayanti organizers that it would not allow holding of any rally or meeting at Suri on Tuesday.